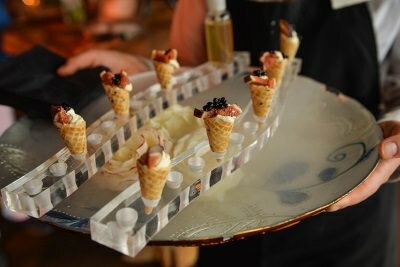 Wedding catering and your venue: what’s the perfect combination? 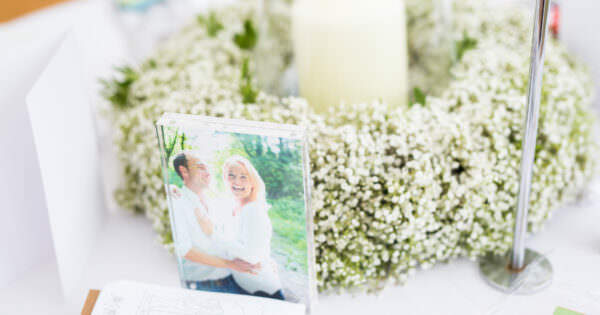 Home > Weddings > Wedding catering and your venue: what’s the perfect combination? What should you choose first: your venue or your catering? What kinds of venues are good and bad for each kind of catering? If you are real foodies for whom your entire wedding hinges upon the finest quality food, then the quality of your catering should guide your search. 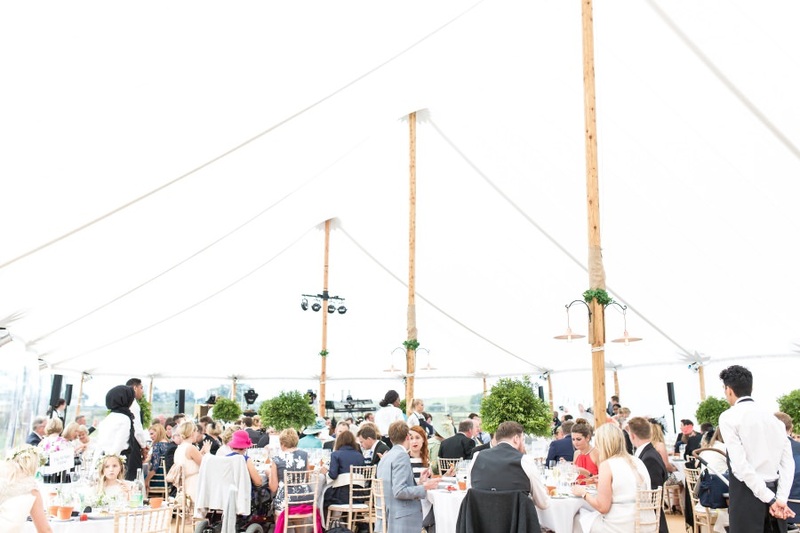 Conversely, if you’re about location, location, location (or you have special features in mind such as a lakeside, onsite accommodation or church very close by) - then you should first source a venue that fits all your criteria, before sorting out the catering second. 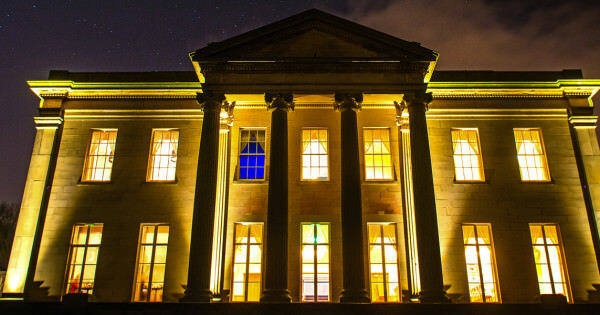 Read our advice on choosing your venue here. However, the reality is that for many couples, it’s a combination of the venue and the food that makes up the perfect package. You may find a venue you love but for which the catering is not up to scratch, or you may fall in love with a caterer but find that it simply doesn’t work with your venue. It can be a difficult quest to find the winning blend! To get an idea of the various combinations of food and venues we offer at Dine, check out our menus and food pages, and see the different venues at which we provide our services. We’re sure you’ll find something that fits the bill! 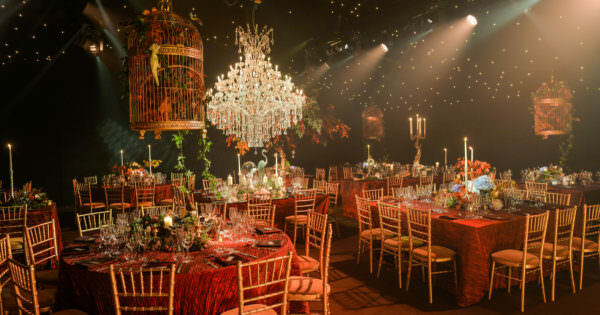 We have many years’ experience of not only providing out-of-this-world catering, but also planning weddings (as much or as little as our couples require). And some of our clients have needed a lot of help making decisions – which we’re happy to give! So if you’re stuck, how do you begin to decide what is more important to you? 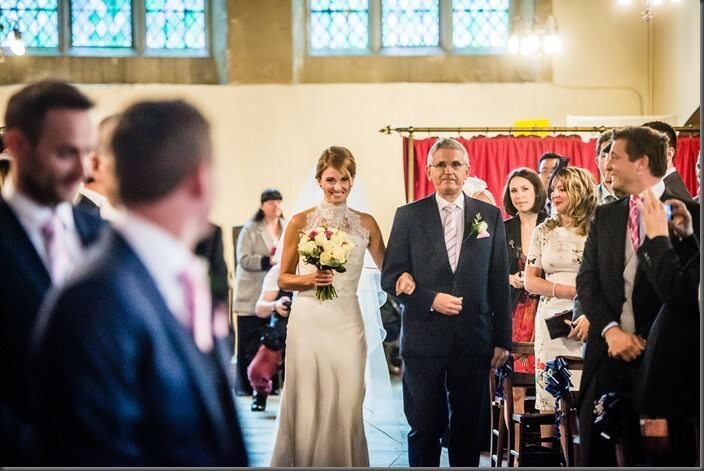 Firstly, read our advice on choosing your venue. 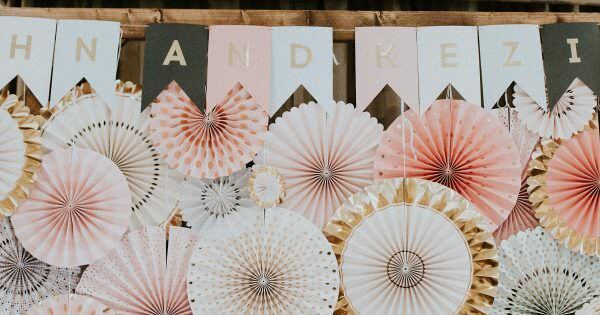 Think about your theme (if you have one) and consider whether this will dictate your choice of venue, and/or your catering. Think about your favourite parties and previous weddings you attended: was it the location or the food that you remember most fondly? If one stands out more than the other, let that lead you. Do you have a very specific belief-based food preference that you can’t imagine your wedding without (or your guests eating anything else), such as veganism? 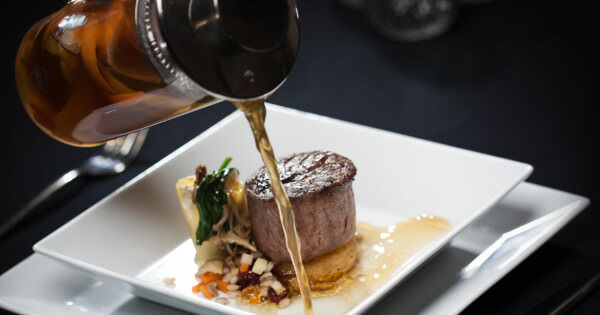 Would you consider yourself a foodie, with a very high standard in food and a highly developed palate? Do your guests hold similar gastronomic tastes? What kind of food would make them happy? Your budget matters! 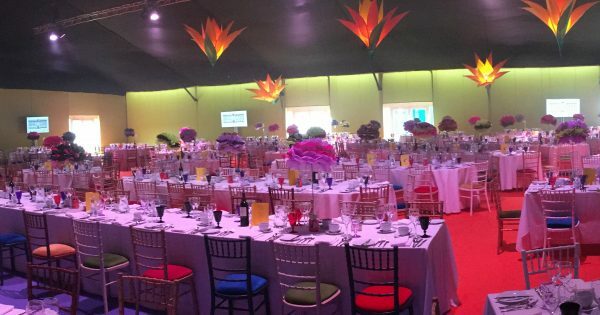 If you have your heart set on a particular style of catering at a specific venue, bear in mind that this may not be achievable if you have a strict cost-per-head to stick to. 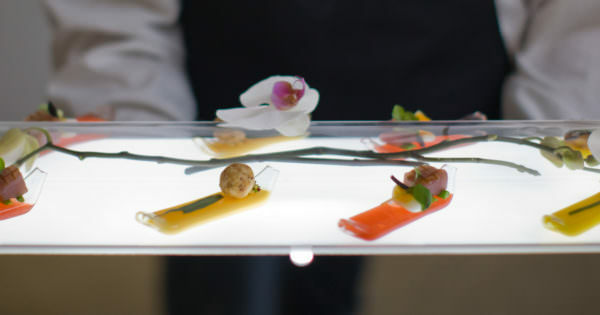 Venue hire costs are often fixed, but external caterers can frequently offer bespoke pricing to match the bespoke nature of their food. The balance of both is to go with a tiered catering package attached to your venue, where you can easily toggle the food costs up and down according to your budget. 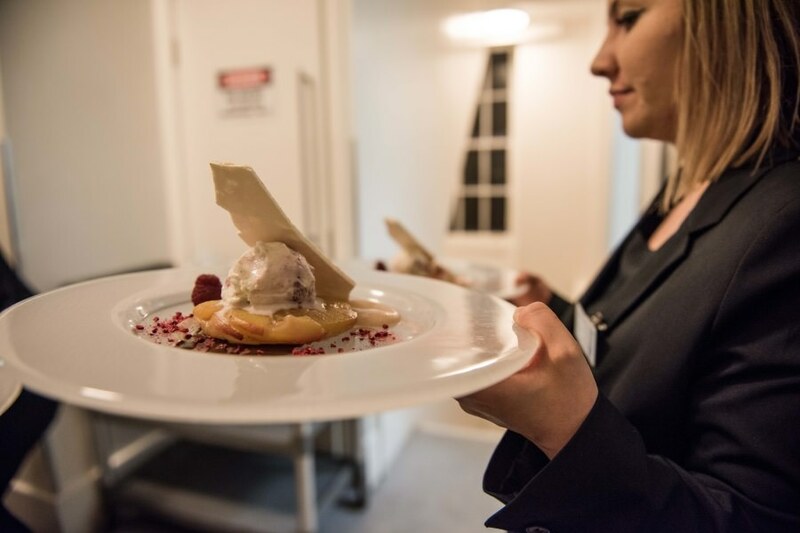 That’s why at Dine, we pride ourselves as a high-end caterer delivering amazing food at truly exquisite venues across Yorkshire and into Leicestershire: we provide a seamless in-house service from planning through to set up, comprehensive on-the-day needs through to clearing up. 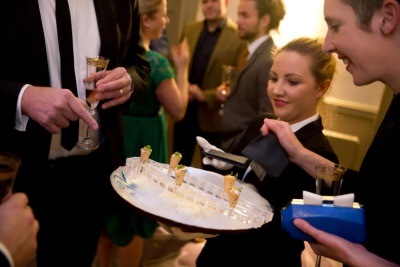 However, we can (and regularly do) also cater at a range of other venues. What kinds of catering are available (and what’s popular for 2017)? The tried and tested wedding ‘breakfast’, usually multiple courses consisting of starters, mains, desserts, coffees and perhaps cheeses. Served mid-afternoon after a lunchtime ceremony. A refined selection of light bites such as fine sandwiches, scones and cakes, often with a selection of teas. Food stations or a buffet table set out in a communal space for guests to serve themselves and return to their seats to eat. Meat on a fire! This usually requires outside space. Omelettes, bacon and eggs, fry ups, fun cereal stations: brunch foods are a delicious style we can get behind. Cheeky snacks to refuel after drinking and dancing, such as mini-burgers, cookies, or cones of chips are an easy way of adding personality while not overfilling guests. 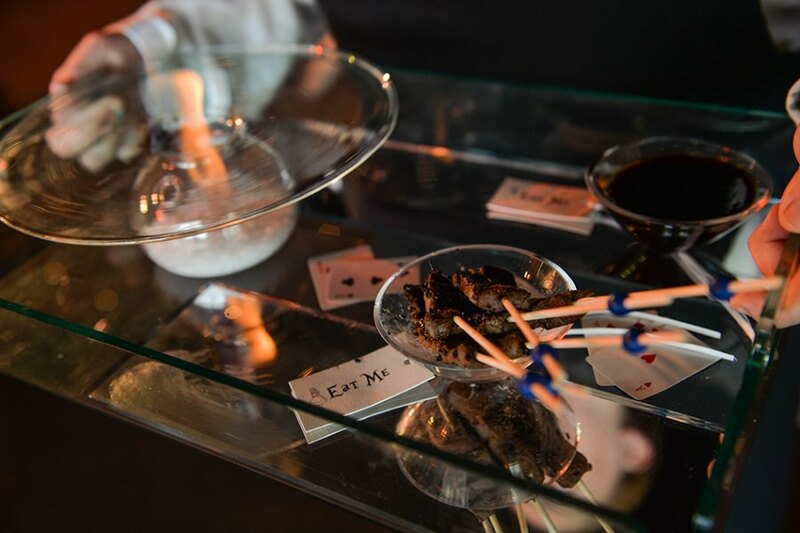 Whether it’s a waiter shucking oysters for each guest or a Tom Cruise-style cocktail performance to produce a signature libation, making a real spectacle of your food is going down a storm with guests the world over. 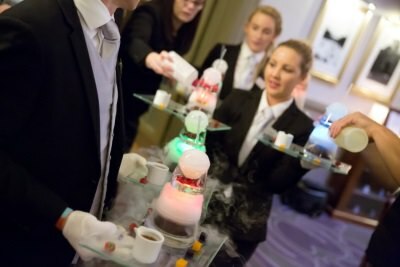 What venues are good and bad for each kind of catering? Formal dining fits perfectly with the grandeur of the venue. However, the combination can be challenging for guests with very small children. Also suits the surroundings very well and actually harks back to the traditionally glamorous afternoon salon du thé. Just add ferns and you could be in Downton! Works well in the evening but less suited to a daytime meal in this setting, unless you are in the grounds on a hot summer’s day. Fine if you have room in a courtyard or paved area. Some venues will not allow fires that scorch the grass, such as hog roasts. Only suitable if you have outside space that is paved or gravelled so may have to be on the driveway to avoid churning up any formal lawns. As with a period country house/estate, formal dining feels very historically fitting in a castle’s grand space. Better for larger weddings though as smaller parties can feel lost in vast spaces. Works better in gothic revival castles than those of the medieval type – it may be strange to be eating petit fours amongst the crenellations! If the castle has a banqueting hall in which to dine, an opulent buffet can actually work surprisingly well as a historically-fitting Bacchanalian feast at any time of day. Outdoorsy meat feasts can act as something of a ‘laird’s dinner’ to mirror the banqueting style of yesteryear. However, as with period country houses, there may be restrictions on where this can physically be located on the grounds. Again, will probably require paved roads to prevent the gardens from being churned up by food trucks getting into and out of position. 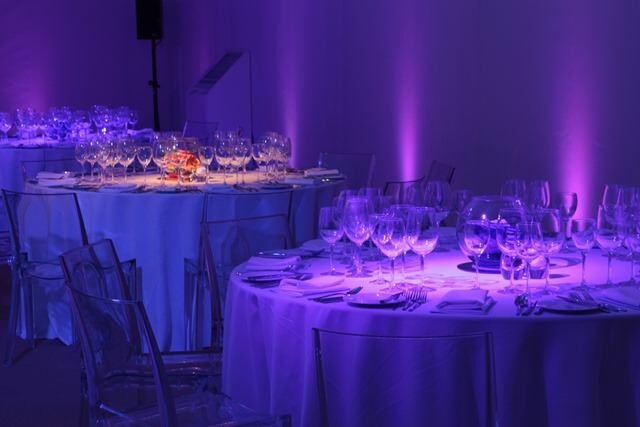 Formal dining can work as a format in an urban setting but take care to ensure there is an element of modernity in the food to match the venue: it’s time for catering innovation! If you’re planning on a small wedding with an early ceremony perhaps at a city hall, afternoon tea could be the light mid-point before you move to a more full-on dining option later in the evening. A buffet can match the laid-back vibe of a more informal city venue. Additionally, some venues may not have kitchens suitable for the full formal dining experience, so buffet-style food could be a better fit. Barbecues are great for a more modern celebration if you can get the outside space. However, a hog roast can be a bit too overwhelming in smaller urban spaces and suits a more rural setting. Outside space and parking for food trucks may be difficult to come by in a city location, unless the venue already has an enclosed/attached space, such as a courtyard. Formal dining in a barn is likely to jar with the rustic surroundings. It can be done – and we have done it, of course! – but it’s a lot easier if the barn has proper interior flooring, and electricity supply! 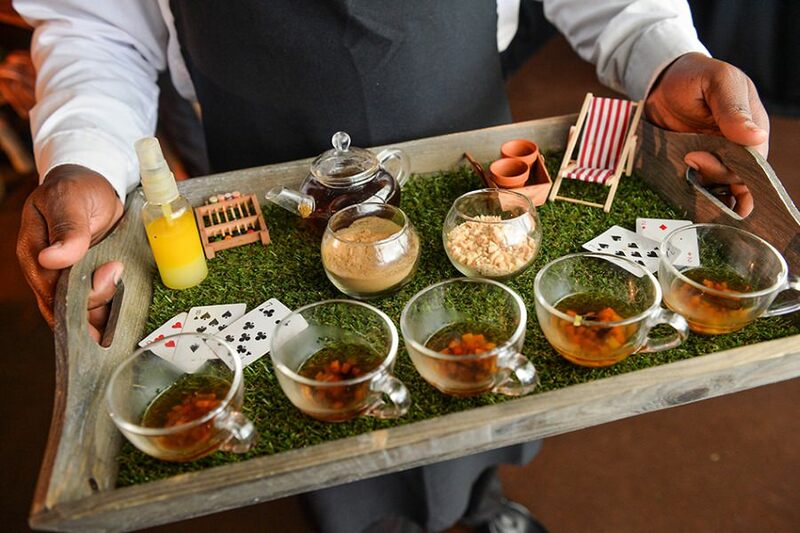 Unless you have a very refined barn or a uniquely rustic take on afternoon tea, maybe a bohemian garden party would go down better. It can also get a bit draughty so consider warmer foods unless your wedding is in high summer. Great! Buffets are really relaxed and encourage communality. If you are really passionate about your food’s provenance, you could showcase this via the buffet food. Perfect farm-to-table transition! Perfect! Hog roasts and barn weddings are a match made in heaven: relaxed, space enough to roast the meat without guests’ worrying about smoke and spitting fats, and a welcome source of warmth. The ideal primeval focal point! If there is no issue with trucks getting on and off the land, these can provide a real festival feeling for a barn wedding. Just make sure you take precautions against the mud with walkways. 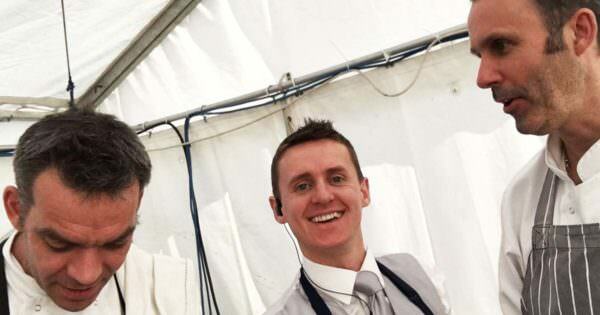 Read our advice: What catering options suit a marquee wedding? Now you have a better idea of the chicken-and-egg logistics of choosing your venue and catering, what overall catering types are available, and what the pros and cons are for each kind of venue, all you have to do is… plan the rest of your wedding! Whatever expert advice you need, we’re here to help: just contact us on 0345 450 4545, email us at events@dine.co.uk or use our contact form.